Austin Energy generates power through a diverse generation portfolio of natural gas, coal, nuclear, renewable resources and purchased power. Browse data about our power plants: percent owned; fuel type used; capacity in MW; and installation year. Go to http://austinenergy.com/go/info to learn more. Austin Energy offers free home energy improvements to customers with low to moderate incomes who qualify. The improvements reduce energy costs and enhance indoor comfort. Qualifying customers can have their home weatherized and receive home improvements. These improvements include attic insulation, solar screens, compact fluorescent light bulbs, minor duct repair and sealing, caulking and weather stripping and other improvements. Customers participating in the program can realize energy savings from 6 to 21 percent. Find more information at http://austinenergy.com/go/reports. Along with Austin Energy’s generation, a key component in the utility’s success is ensuring the reliability of its plants and electric system. The equivalent availability factor measures the number of hours the full capacity of a generating unit is available annually. Find more information at http://austinenergy.com/go/reports. View the unit names, fuel types, and more starting in 1995. Go to http://austinenergy.com/go/renewablepower and http://austinenergy.com/go/reports to learn more. Austin Energy provides rebates and low interest loans to customers who make energy efficiency improvements. During fiscal year 2012, energy savings totaled nearly 106-million kilowatt hours. That's enough electricity to power nearly 9,400 residential homes in Austin. As part of the FY 2013 rate case, Austin Energy restructured its customer classes. Residential — customers living in single-family dwellings, mobile homes, townhouses or individually metered apartment units. Secondary — commercial customers including small to large businesses. This means Austin Energy owns, operates and maintains the equipment supplying power to those facilities . Secondary 1 — commercial customers served at less than 10 kW. Secondary 2 — commercial customers served between 10 and 50 kW. Secondary 3 — commercial customers served at more than 50 kW. Primary — customers that take service at high voltage and own, operate and maintain their own equipment. Consequently, Austin Energy experiences lower overall system losses and expense in serving these customers. Large commercial and industrial customers such as semiconductors, hightech facilities and data centers typically fall under this level of service. These customers have very high usage and load factors because they tend to operate 24/7. Primary 1 — commercial customers served at less than 3 MW. Primary 2 — commercial customers served between 3 and 20 MW. Primary 3 — commercial customers served at more than 20 MW. Contract/Transmission — customers owning and maintaining all equipment on the customer side for electric delivery and receiving service at 69 kV or above. Contract applies to a small number of large commercial customers operating under legacy contracts. Lighting — typically refers to street lighting and facilities including ballparks. Austin Energy’s Power Supply Adjustment recovers fuel for generation, transportation, renewable purchase power agreements, purchase power to serve retail customers, ERCOT fees, hedging and the balance from the previous period. The adjustment is reviewed annually. Find more information at http://austinenergy.com/go/reports. Austin Energy set a goal that 35% of energy delivered to customers will come from renewable resources by 2020. Download type, capacity, term, and more for each of Austin Energy’s agreements to purchase power generated by wind, solar, and biomass. Austin Energy has approximately 850 megawatts of wind power through purchase power agreements with terms ranging from 10 to 25 years, and one short-term agreement. Austin Energy set a goal that 35% of energy delivered to customers will come from renewable resources by 2020. In January 2013, two new wind contracts went online adding an additional 293.9 megawatts of wind power. Additionally, Austin Energy is purchasing energy produced from the 30 megawatt Webberville Solar Project and a 100 megawatt biomass plant which went online in June 2012. Purchase power agreements for wind, solar and biomass power will bring our renewable portfolio to 23% by the end of 2013.  In June 2013 the Austin City Council approved three new wind contracts totaling 570 megawatts which will put the utility four years ahead of schedule for meeting its 35% renewable energy resources goal by 2020. Specific information related to purchase power agreements, such as pricing information, is confidential and excepted from disclosure under the Texas Public Information Act. The system fuel cost average is the cost of fuel purchased, divided by the number of kilowatts generated. View the system annual average fuel cost (cents/kWh) starting in 2006. Go to http://austinenergy.com/go/reports to learn more.